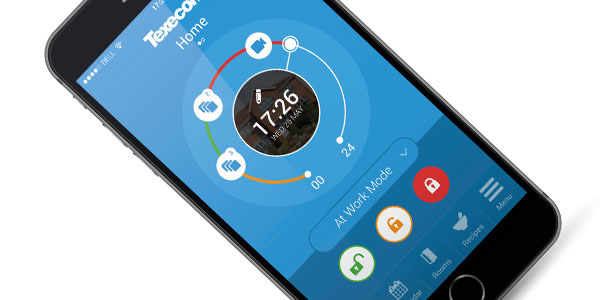 Texecom is Europe’s largest independant security alarm system that provides bespoke designs that protect people and property throughout the world. Award-winning products that cover all aspects of external and internal security requirements. For over 30 years Texecome has protected both commercial and residential properties. They are a very well known company of electronic security and are highly regarded amongst building security professionals. The Texecom Connect is a smartphone app for Android and iOS devices. It opens a new world of posibilities for Texecom security systems. It allows you to connect to your home like never before directly from your smartphone. Protect the things you love with a state-of-the art security system that can be installed by us! With this app you are in complete control. The app has been carefully designed to provide you with quick access to a host of features that fit in with your own personal and particular needs without using complicated programmes. The connect app allows you to control your security directly from your smartphone or tablet. If you are in another country or just down the road control the operation of your security system, and recieve notifications of any system events and monitor the cameras. Make your home work with you and your lifestyle. It is up to you how you decide to control it. Automatically turn on lights when you enter the room, or turn off an appliance when you are out of the building. Create specific modes that control all aspects of your home or business, all at once. The recipes are a user-friendly way of describing the programming actions that are used for automation. They are extremely powerful and very easy to create and use. The are many different types of pre-set modes within the system and of course you can custom make your own. These are designed to how you would like your home to be set, for example, if you are on holiday, if you are asleep, and if you are out of the house. If you was to customize your own for example, “breakfast mode”, we would expect the kitchen to be disarmed, power sockets on, and kitchen lights turned on if it is dark outside. The security alarm devices are mapped into rooms by the security installer (us), so they are accessible to the end user for home automation. By having them in the rooms it is easy to turn the device on and off directly from the room menu. The security alarm devices will not affect the integrity of the security alarm system itself. With the camera technology the Texecom Connect provides, you can view live footage anywhere in the world, and locally record the video to your smartphone. Create recipes with push notifications, so you can monitor every step at your home. For example, you may set up a recipe to notify you when someone approaches your property when the system is armed. You can then view this through the live footage on the camera. Choose who can use and access the Texecom Connect App. You can use the app on multiple devices, add new users and set controls. 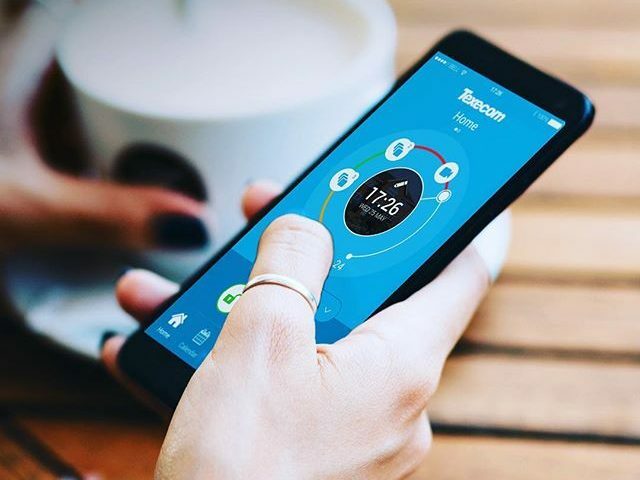 You may want your children to have access to the Texecom Connect App to gain access to the house, but you might not want them to create recipes or controlling the different devices.